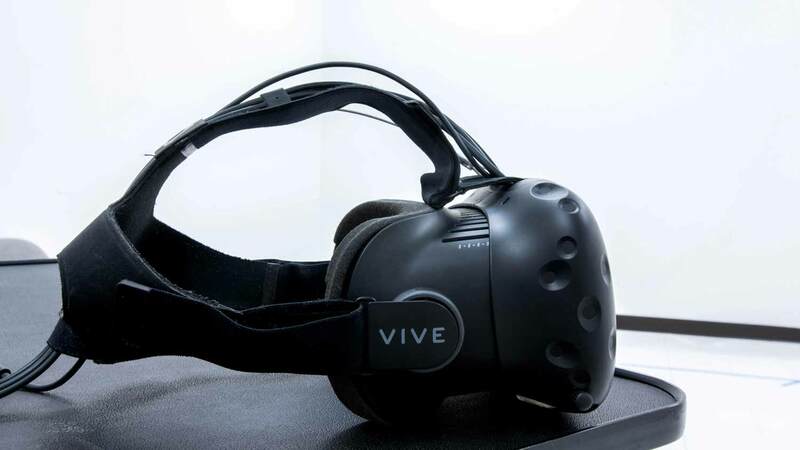 3D digital designers use their passion to create virtual elements featured in everything from games and movies to visualizations and augmented reality. Vehicles, avatars, lighting, and environments are all designed to imagine something new, visualize an idea, or simulate a process. As you progress through the program you will discover new applications for your skills in creating with this advanced software. As a program in a university setting, ample opportunity exists to collaborate with engineers, musicians, scientists, animators, and medical professionals which means that you will have opportunities to put your 3D digital design abilities to use while you are at RIT and when you graduate. 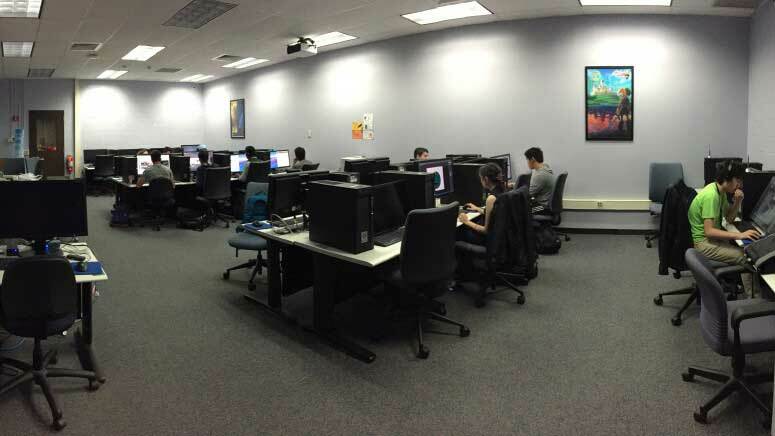 From day one, the students in the 3D digital design major use professional 3D software in game design, virtual reality, medical and scientific simulations, data visualization, models for architects and engineers, movies, motion or broadcast graphics, instructional media, and more. In addition to the 3D software students use motion and facial capture, projection mapping, and 3D printing. Traditional design skills are augmented with principles of time, motion, lighting, rendering, and compositing to create inspiring projects. Alumni work in top companies around the country and the world applying the skills they have learned to design solutions to all kinds of problems. 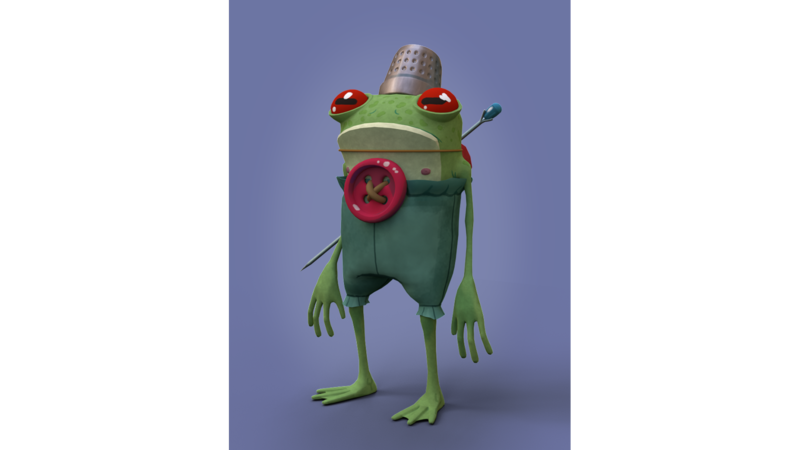 With this free choice project in the Hard Surface Modeling class, Cassandra created something "whimsical and fun" while experimenting with boolean shapes. This project is based on concept art by illustrator Jose Manuel Muñoz Pardo. A digital design of an early 20th-century Wolseley Hornet car. This course is an introduction to the representation of form and motion in three-dimensional software. The course focuses on the development of visual and verbal vocabulary as a means of exploring, developing, and understanding composition and motion with digital geometry and in virtual spaces. Topics include the basics of lines, planes, contour, transforming lines into form, composing images with a software camera, interaction of light and surface, perspective, resolution of geometry, and rendering. Perception and visual thinking are emphasized in the development of projects. Projects will include modeling organic and inorganic forms, composition, level of detail, creation of spaces and motion. Structured assignments develop skills in concept generation, basic form making, techniques for creating motion, and craftsmanship. Emphasis is placed on workflow, teamwork, and the technical and aesthetic aspects of each project. This course is an introduction to the development of surface materials in three- dimensional software, using the basic concepts covered in Intro to Modeling and Motion. Principles of additive and subtractive color are developed as they relate to the interpretation of physical phenomena within a virtual world. The vocabulary expands to include the interaction of light and surface attributes including: color, relief, specularity, transparency, and more. Projects focus on using color, value and texture to enhance the representation of form and space. The basics of node based materials design is introduced. Additional techniques for UV layout are introduced. Concepts are introduced through lectures, discussions, demonstrations, research, assigned projects, and critiques. Assignments develop skills in surface design, lighting and rendering. This course provides experience in generating images, both still and moving, for use with the three-dimensional software environment. Students learn techniques for drawing perspective and orthographic views as well as cabinet drawings, oblique drawings, and other techniques. Students learn to create curves to import for model creation, to capture images photographically to use as textures, to create wrapping textures, to compile multiple frames into a movie, to merge segments together into a single movie, to record and incorporate audio elements, and to export results to the web and other media. Students learn to use a green screen to add live elements to their work. This course provides extensive coverage of methods for modeling where evaluation of the appropriate modeling method to use in various situations is key. The emphasis in the course is on problem solving. Modeling challenges of various types are incorporated into the projects. With these techniques students create complex models of organic and inorganic forms using many techniques. Students learn to utilize render layers and to create effects using software that makes it possible to incorporate multiple layers of image and audio into a single project. Issues related to integrating images created using different renders is covered. Emphasis is placed on incorporating various elements into a cohesive whole matching lighting and perspective. 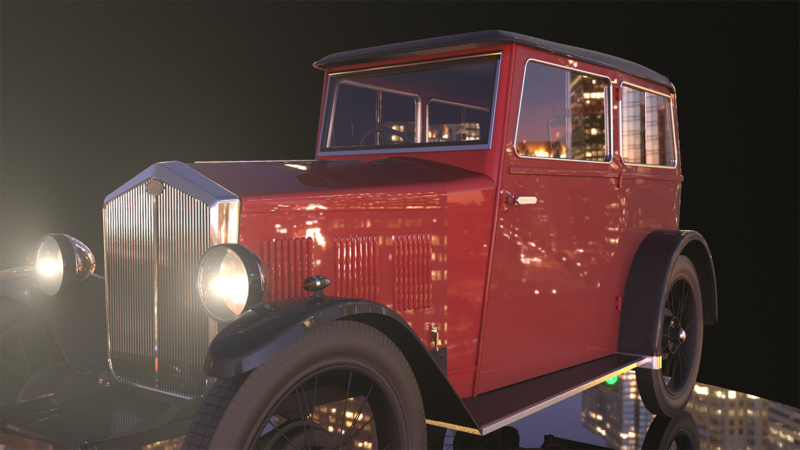 This course covers the use of scripts to control various aspects of three-dimensional environments, models, textures, motion, production workflow and more. Students develop scripts to control particles, models, textures, motion, and interaction with the environment. Additionally students gain experience downloading scripts to micro controllers. The course focuses on playing a supportive role in the development of a three-dimensional digital design project from the planning stage, through completion and presentation. Emphasis is placed on working effectively on a team and providing leadership in a supportive team role. Methods for clearly communicating with a client are addressed including sketches, reference images, flowcharts and storyboards. The course focuses on advanced techniques in lighting, materials, and rendering. Students light objects and spaces. They use shading networks to incorporate groups of two-dimensional and three-dimensional textures into realistic and non-photorealistic materials. Students learn to use texture maps instead of detail in models to increase interaction speeds. Textures are to prototype simple models into complex scenes before completion of final geometry. Displacement textures are used to create detail in models. Use of the node-based system to control many aspects of the 3D environment is covered. Use of textures to simulate non-dynamic lights and shadows is introduced. Planning for the economical use of textures and for the replacement of models with texture maps in level of detail (LOD) situations will be addressed as well. Students learn to design effective render layers. They learn the strengths and weaknesses of various renderers and are able to make effective judgments about which renderer to use in a given situation. Lessons introduced in lecture will be applied during figure drawing sessions. These lessons describe a proportion system developed by Robert Beverly Hale to define the human skeleton. After studying the skeleton, the course focuses on all major muscle groups and their influence on the human form. The course focuses on preparing students to enter the professional world. Projects include the development of a resume, cover letter, artist's statement, bio, and portfolio. Focus is placed on submitting work to competitions, both visual and written, related to their work. As a historical overview of computer graphics design, this course covers the development of digitally based graphics and imagery from its pre history to the present. It touches on related technology and the growth of the computer industry. Major pioneers and their contributions are reviewed. The course traces the use of digital technology in the creation of graphics for design, interactive media, fine art, animation, visualization, and performance. In this course students learn to develop design documents, timelines, budgets, marketing plans, and supporting material for potential projects. A project of their own design is then fully implemented and presented at the end of the term. The course focuses on implementing a three-dimensional digital design project from the planning stage, through completion and presentation. By the end of the term the student will have completed most of the project and have made all of the aesthetic decisions relative to the project in preparation for an intense critique at the end of the quarter. The course focuses on the completion of a major three-dimensional digital design project from the planning stage, through completion and presentation. Based on the feedback received in the critique at the end of the previous term, students refine and complete their project and prepare to submit their work to competitions and integrate it into their portfolio. † Art history electives are non-studio courses offered in the College of Art and Design or the College of Liberal Arts that examine the historical aspects of art, design, crafts, photography, print media, or film. Please see adviser for a complete list of art history electives. This course focuses on students working more independently to explore an area of three-dimensional digital design not covered in other course work. Students will work closely with the instructor to research and complete tutorials in a new area. They will develop skills in that area and then create a tutorial explaining what they have learned. They will present what they have learned to the rest of the class as a means of extending their knowledge into specialized areas that are not covered in other course. Students must have an area of exploration defined in writing in advance of enrolling in the course, which must be approved by the instructor. This course is repeatable. The course focuses on implementing, advanced, newly developing ideas in three-dimensional computer graphics. The specific topic varies and is determined by the instructor. A specific course outline is provided each time the course is taught. Potential topics include the creation of interactive installations, game asset design, digital performances, cyber fashion, network art, locative media, scientific visualization, information visualization, event design, projection design, or any new area in digital design. This course has a subtopic and may be repeated with different subtopics; subtopics cannot be repeated. This course covers first the design of characters and then the creation of them using three-dimensional software, inverse kinematics, parent and rigid binding, bones, and deformers. Students design characters using techniques like interpretant matrices, model sheets, sketches, and maquettes followed by development of the actual character in software. Characters are designed for incorporation into motion graphics, games, real time applications, performance, or visualization. This course covers modeling techniques useful in developing environments, both interior and exterior. The content of the course covers proportions appropriate to a variety of environments, lighting for spaces, surface design to replicate real world materials, and building to an appropriate level of detail for the circumstance. The course focuses on designing and constructing hard surface models including machinery, furniture, vehicles, electronics, and robots. Students explore the use of different modeling techniques in the process and are particularly interested in the flow of the topology within the geometry. Some attention is given to creating controls for moving the hard surface models. This course covers the use of basic electronics so that students can develop embedded systems or controllers for games, design environments with ambient intelligence, design interactive museum exhibits and point of purchase installations, or embed electronics in clothing. Students use micro controllers, sensors, switches, lights, and motors to implement their designs. In this course students design levels for games or virtual worlds for a variety of applications. Once the design is complete, the design is implemented using high-end three-dimensional software. In many cases the projects will be large and will be executed by teams of students. Versioning systems will be used to keep track of the most recently developed assets. Models are imported into real time software engines for manipulation. In this course students use learn to simulate gasses, liquids and forces as well as develop complex organic systems in natural environments. Students employ particle systems, physics engines, l-systems, and software designed especially for developing richly detailed natural environments. The content of the course encompasses both modeling natural environments and also phenomena in motion; such has windstorms, fire, cloth, hair, fur, and water. This accelerated course covers material from the first-year sequence of courses and provides the foundation for all subsequent Computer Science courses. The course stresses problem solving while covering modern software development techniques and introducing essential software tools. Topics include tree and graph structures, nested data structures, objects, classes, inheritance, interfaces, object-oriented collection class libraries for abstract data types (e.g. stacks, queues, maps, and trees), and static vs. dynamic data types. Concepts of object-oriented design are a large part of the course. Software qualities related to object orientation, namely cohesion, minimal coupling, modifiability, and extensibility, are all introduced in this course, as well as a few elementary object-oriented design patterns. Input and output streams, graphical user interfaces, and exception handling are covered. Note: Requires department permission for registration. A first course in using the object-oriented approach in the network domain. Students will learn to design software solutions using the object-oriented approach, to implement software solutions using a contemporary programming language, and to test these software solutions. Topics include thinking in object-oriented terms, problem definition, designing solutions using the object-oriented approach, implementing solutions using a contemporary programming language, and testing software solutions. Programming projects will be required.